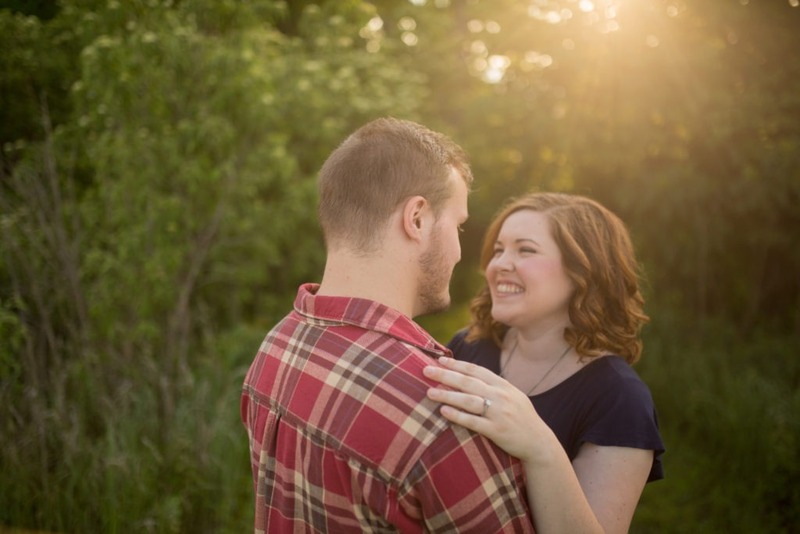 Rebekah and Spencer’s engagement session was amazing, they’re a unique and fun couple . 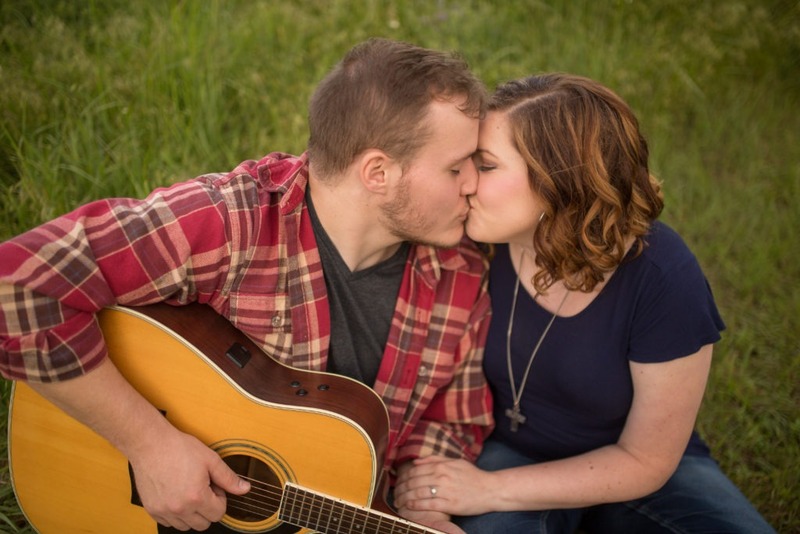 They were introduced to each other by Spencer’s best man and got to know each other playing in a band in a campus ministry at Kansas State University. 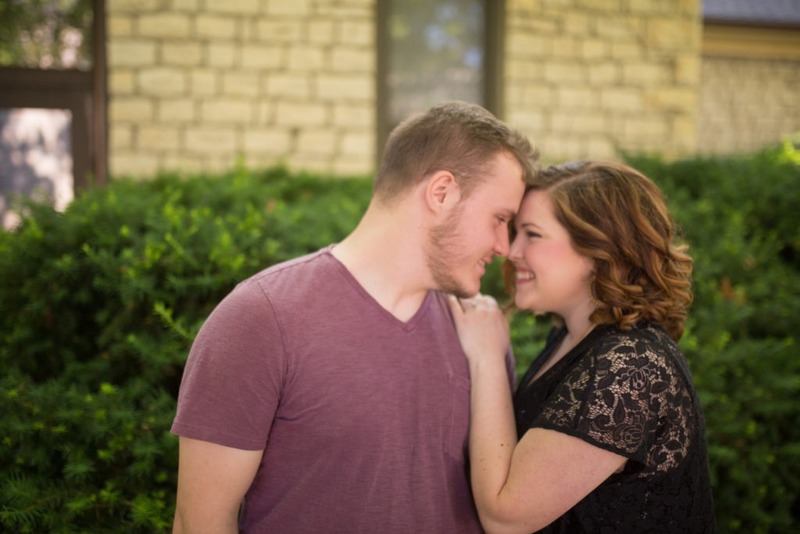 At K-State, she sang and played piano and he sang and played guitar. Since meeting the two love spending their time hammocking in the park and playing music together. Our session happened on (insert date) We started our session on campus since that is in fact how they met. 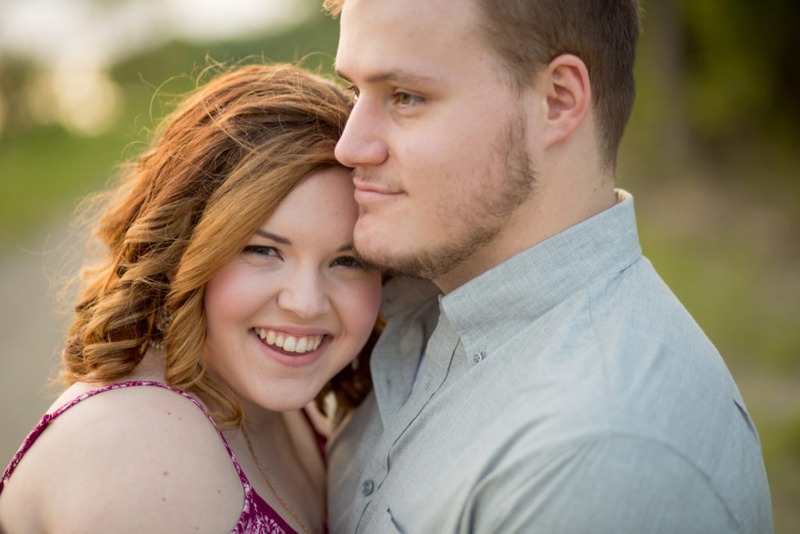 Rebekah and Spencer have such a great connection and are so easy going with each other it’s as if they put each other at ease which only made my job easier. 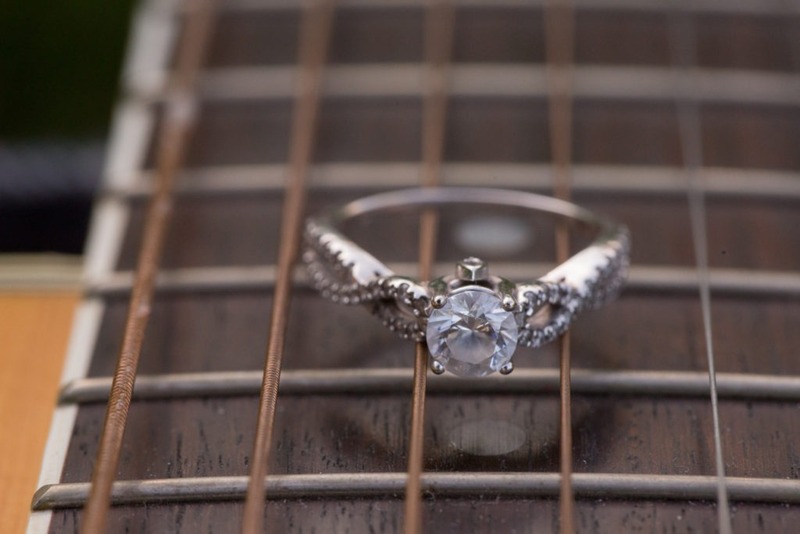 The picture of her ring was taken on his guitar which is such an awesome personal touch. 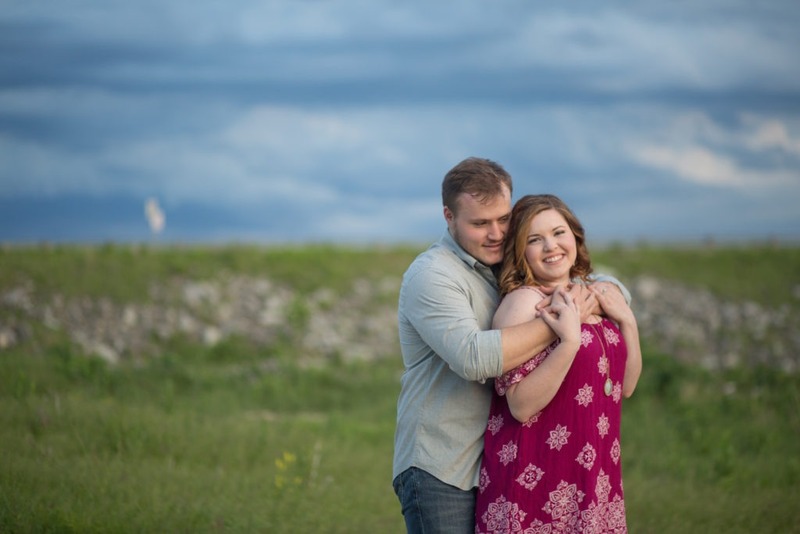 I love making a session original showing each couples individual story. At Washington Marlatt park, we got even more shots of them with Spencer’s guitar. The weather helped created a perfect May day and the sky had some pretty awesome clouds too creating a great backdrop. Since the two love camping and spending time outside I love that Mother Nature cooperated on the day of their session. 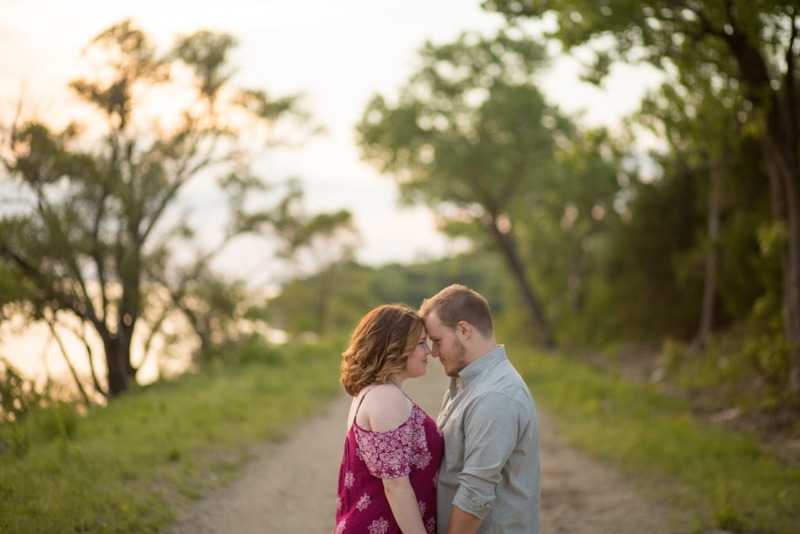 We finished our session at Tuttle Creek Lake with a sunset in the background and a truly beautiful couple in the foreground. 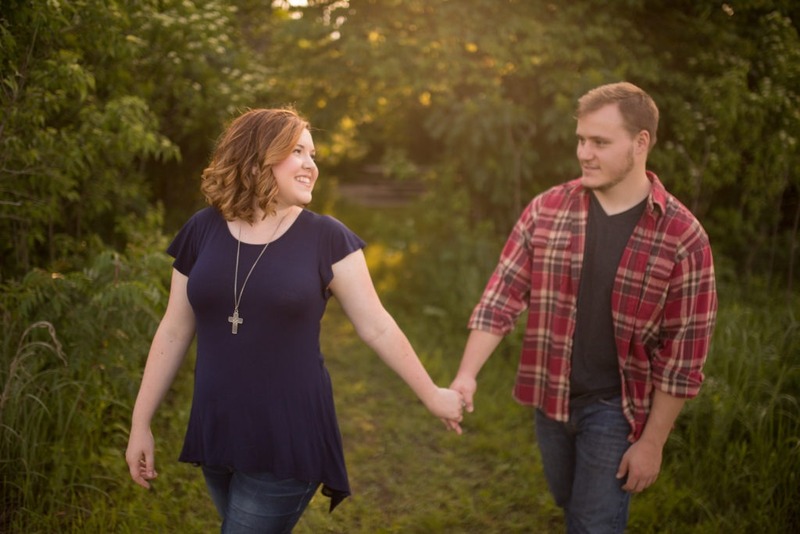 Spencer is a graduate research associate from Olathe and Rebekah is a future seminary student from Belle Plain, Kansas. I’m so honored to have a part in this incredibly cool couples big day.